Ryan Joseph Sweeney (born 15 April 1997) is an Irish professional footballer who plays as a defender for Mansfield Town on loan from Stoke City. Sweeney began his career with his local club AFC Wimbledon, joining their youth academy at the age of eight in 2005. 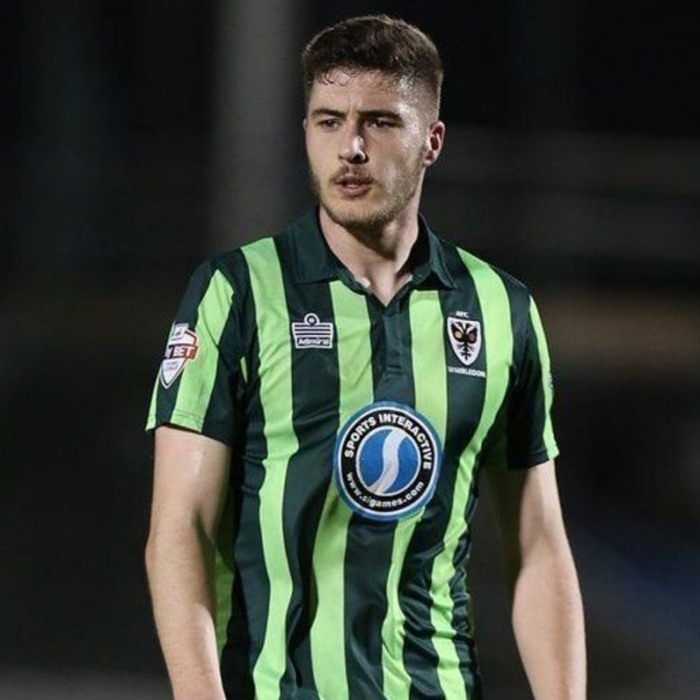 Sweeney signed his first professional contract with AFC Wimbledon in February 2015. Sweeney made his Football league début for AFC Wimbledon on 6 April 2015, coming on as an 80th-minute substitute during the 4–0 away loss against Dagenham and Redbridge. He started Wimbledon's next match on 11 April 2015, a 0–0 draw against Oxford United at Kingsmeadow, and was named man of the match. Sweeney began the 2015–16 with the club's under-21 side before injury to Karleigh Osborne saw Neal Ardley give Sweeney his chance in defence against Luton Town on 13 February 2016. Wimbledon won the match 4–1 and Sweeney earned praise for his performance. He kept his place in the side until he was sent-off for conceding a penalty in a 2–1 defeat at Morecambe on 12 March 2016. Sweeney signed a new contract with Wimbledon in March 2016 after attracting interest from Premier League clubs Tottenham Hotspur and West Ham United. On 4 August 2016 Wimbledon announced that they had agreed a fee with Stoke City for the transfer of Sweeney. On 5 August 2016, Sweeney completed his move to Stoke City for a undisclosed fee, understood to be in the region of £250,000. On 18 May 2015 Sweeney was called up to the Ireland U-18s squad for the first time.